Ever wonder what your cat does outside when you aren’t looking? Join us to learn about the secret, often devastating, lives of cats as Dr. Elizabeth Gow share details of the research she is are conducting in Ontario on cat welfare and their impacts on wildlife populations. Did you know that there are hundreds of thousands of cats roaming Canadian yards, streets, parks and natural areas unsupervised and these cats are often coming into conflict with other wildlife, resulting in cats being harmed or killed from disease or from animals such as coyotes? And even more astonishing, cats may kill upwards of 350 million birds per year in Canada! By the end of this talk you will have a good understanding how you can keep cats safe while saving birds’ lives and you will come away with key talking points you can share with your neighbours, friends and family. 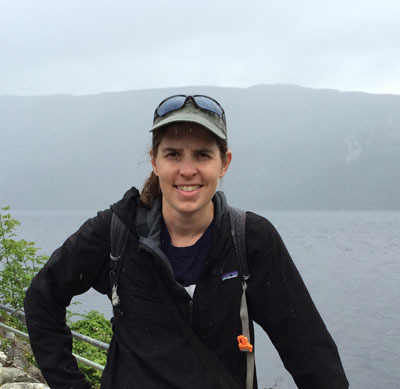 Dr. Elizabeth Gow is a Liber Ero Postdoctoral Fellow at the University of Guelph where she is currently studying the impacts of cats on bird populations in Canada. She conducts interdisciplinary research and works with veterinarians, animal welfare workers, conservationists, policy makers, and cat owners to find effective solutions to reduce unsupervised cat populations in Canada. Dr. Gow is a broadly trained, internationally recognized and award winning ecologist who focuses on migratory bird behaviour and conservation. She obtained her undergraduate and master’s degrees at York University, a PhD at the University of Saskatchewan, and is a former Killam postdoctoral fellow at the University of British Columbia.